Welcome to grilling and swimming season, shoppers. June 21 marks the first day of summer, which also happens to be Father's Day this year. This month you'll find deals centered around both Father's Day and summer, as well as wedding season, graduation season and more. Just in time for Father's Day comes savings on power tools both online and in stores. Keep an eye out for fliers advertising limited-time store specials, as well as markdowns on websites such as Amazon. These deals will occur leading up to Father's Day as retailers try to win your dollar. "Summer is not the best time for gym membership simply because more people would rather be outdoors," explains Natasha M. Campbell, founder and CEO of Lifestyle Success Unlimited, a financial education company. "Apparel, accessories, and shoes for outdoor exercise is typically offered at a discount, discounts can range from 50 percent or more." It's wedding and graduation season. As a result, retailers leverage all those newlyweds and fresh grads making homes for themselves via enticing promotions. "I've found that you can usually save around 25 percent off regular price on dishes," notes David Bakke of Money Crashers. Watch for email advertisements, newspaper fliers and social media announcements for markdowns. It's no secret that summer is one of the most popular times to travel, but that doesn't mean there aren't deals to be had. You just have to be strategic about your destination. For example, Bakke says, "A vacation to Florida will usually be cheaper in June. It's hotter, but you will save on lodging, airfare, and some entertainment activities." If you have a specific destination online, sign up for price alerts that notify you of dropped airfare. Finally, Campbell notes that cruises and vacation packages are offered at huge discounts this month, as June is considered the beginning of hurricane season. Did you know that June is National Dairy Month? Yup. To celebrate, dairy manufacturers are pushing their goods big time. This month you'll notice an uptick in sales and coupons on yogurt, cheeses, ice cream and more, says Teri Gault, CEO of The Grocery Game. We suggest stacking your coupons with in-store specials, which means you'll get a discount on already discounted goods. Now may be the time to stock up on dairy items that freeze well. We all know that Mother's Day is one of the busiest days of the year for restaurants. 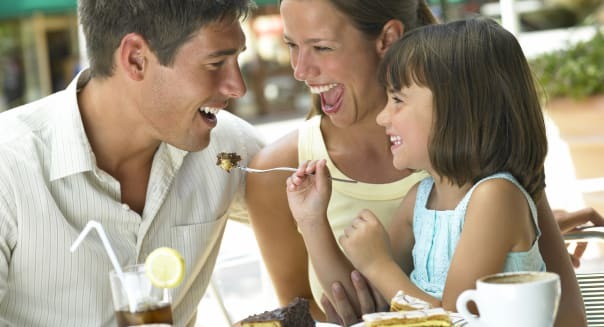 In an attempt to get families in their doors for Father's Day, many restaurants will offer enticing specials on June 21. For example, look for free entrees or dessert specials and prix fixe menus that give you more bang for your buck. Restaurants that cater more to "dad crowds," such as steak houses, are a great place to start. For some reason, major lingerie retailers host some of their biggest sales during the month of June. For example, the famous Victoria's Secret Semi Annual sale takes place this month, and Frederick's of Hollywood and Maidenform also have lingerie promotions. "Check out other retailers such as Target, which offered [buy one get one] deals last year on bras," adds Campbell.